These kits features my favorite old fashioned pattern, the Yo-Yo. I used it to make the flowers. 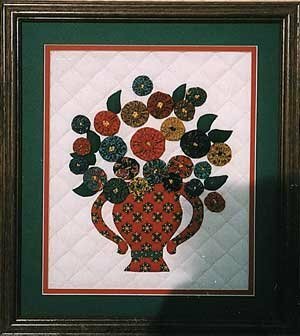 The vase is appliqued to a muslin background that is heavily quilted. A very unique kit and fun to do! This kit is a Beginner level.